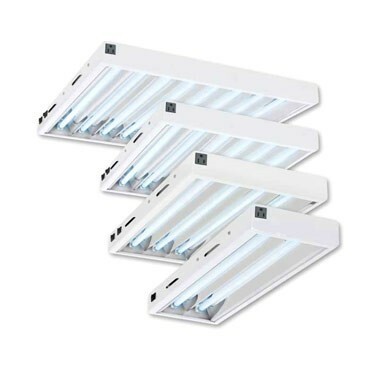 T5 High Output fluorescent lighting is the wave of the future in indoor horticultural lighting. They put out very little heat (about 20%) as compared to a conventional H.I.D. light. The MaxLume T5 Flourescent Light Fixtures are energy efficient electronic ballasts ideal for wide light disbursement resulting in a bright and even growing area. Multiple side vents allow for cooler operation and wire cables allow vertical or horizontal hanging positions. Made with a reflective white powder coated finish to resist moisture. 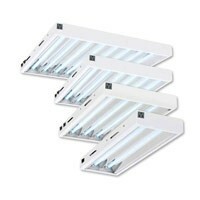 All MaxLume T5 fixtures include on/off switches and can daisy chain easily together running on a single 12' power cord. Operates on 120v only.